Within Teamwork Projects you can create a new Google document directly from the files area of a project. To do this you must first enable the Google integration on your site, and then enable it on the individual project. Ensure you select your root/top level folder. Note: Only site owner or site admins will have the permissions to enable the site integration. Once both of these have been enabled, navigate to the Files area of the project you wish to create the document on. When you have enabled the integration you should now see a Google Drive button to the top right of the files area. 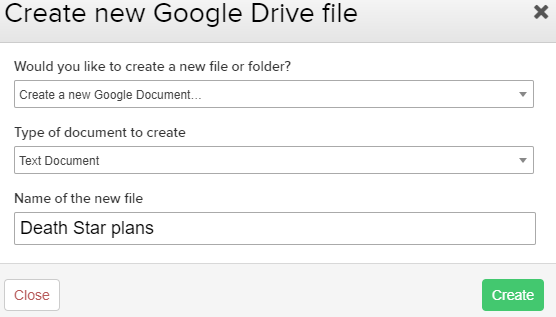 Select the Google Drive button and you will be presented with a list of files in the top level folder you have selected on your Google Drive. The option to create a new file to add to this folder can be found along the bottom of the pop up window. When you select create you will have the following options. 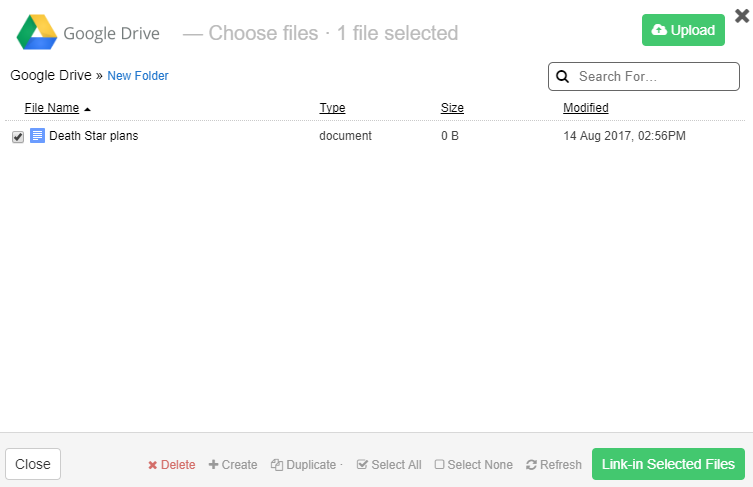 Once you have created the file it will appear in the folder view. You can then tick the box to the left of the file name and then choose Link-in Selected Files to the bottom right. 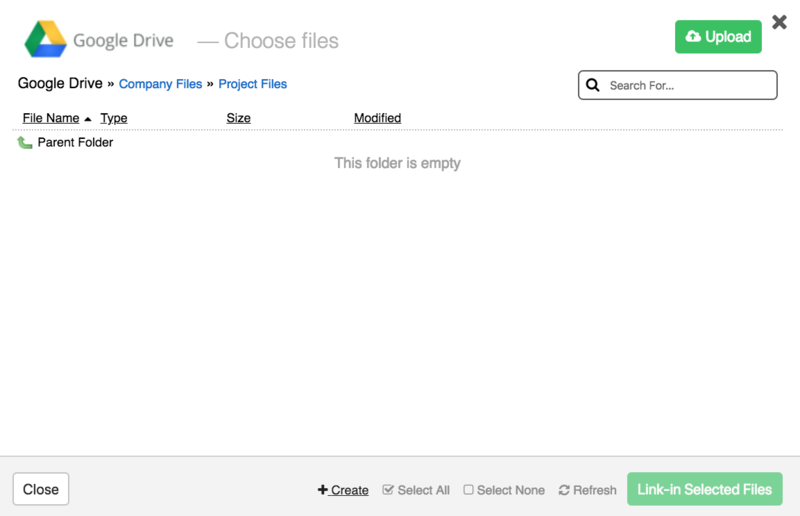 Once you have selected the link-in selected files option, it will appear in the file section of that project. You can then choose the preview option which will allow you to edit the file directly within projects or choose to view on Google Drive.